If you ever wanted a bit more convenience with your conventional light bulbs then smart bulbs can be the easiest solution anyone can suggest. 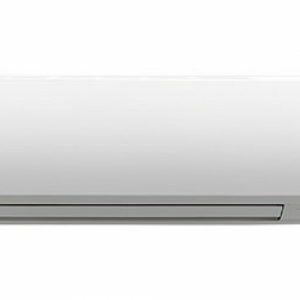 Not only they are much easier to install, but they also offer comfort that is far more worth than their actual cost. You can control these smart bulbs right from your smartphone that always stays with you, and if you use a smart speaker, then the process is even seamless. 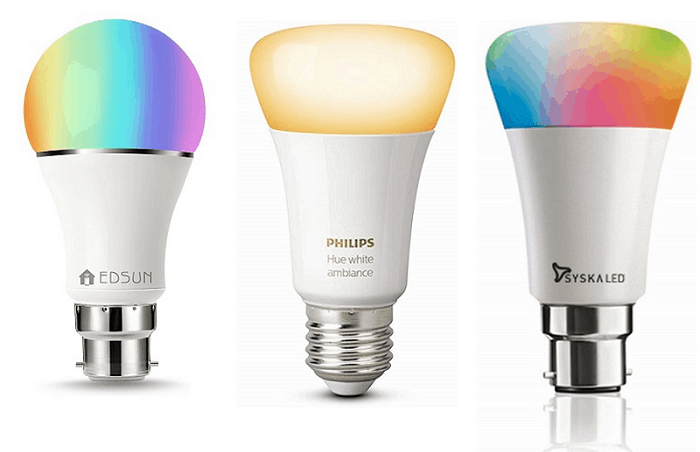 Smart bulbs have gotten so popular lately that people don’t even bother to look for conventional bulbs, especially since the price difference between the two has dropped significantly over the past few months. Why buy LED smart bulbs? Will they work in your home? All the smart bulbs come with a companion app that can be easily installed on any smartphone – Android or iOS. These apps allow you to control every aspect of the bulb right where you are, no matter if you aren’t even at home. Plus, most of them are compatible with Amazon Alexa and Google Assistant for voice controlling these bulbs. These bulbs are a boon for the family members who cannot move due to age or otherwise. 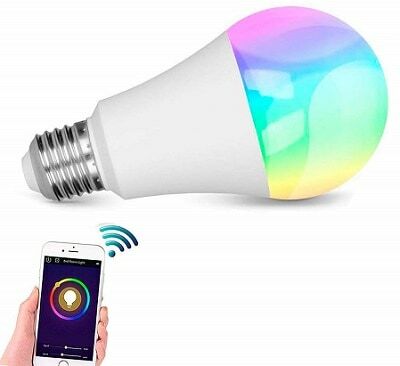 If you invest in a multicolour smart bulb then you will be able to have a party-like feel right in your living room with your smart bulb changing all those colours while the music plays at full blast. There are millions of colours for you to choose from and many apps do come with certain preinstalled scenes that you can set based on your mood or event, like a candlelight dinner or a party. Certain smart bulbs offer an inbuilt feature that makes it mimic the sunset and sunrise to help you sleep and wake up naturally, and sometimes without the need for an alarm. If activated, the feature slowly dims the light while you fall asleep and then in the morning brightens in the same way so that you wake up without any fatigue. Some smart bulbs even connect with your smart band to automatically turn off when you are asleep. Most of the conventional LED bulbs don’t support dimming and you may need to install a dimmer along with the switch to do it, and even that could end up harming the bulb itself. The smart bulbs offer dimming support natively and you don’t even need to install anything extra to get it to work. All you need is a smartphone with the companion app installed and you can dim your lights with a single click. For the first part, smart bulbs are designed to work inside any kind of house, even those with an old-style wiring. These smart bulbs are powered by the same holders that you currently use for your traditional LED lights and you just need to fix a smart bulb inside them like you normally do. In fact, smart bulbs are the cheapest and the easiest way you can start setting up your dream smart home! 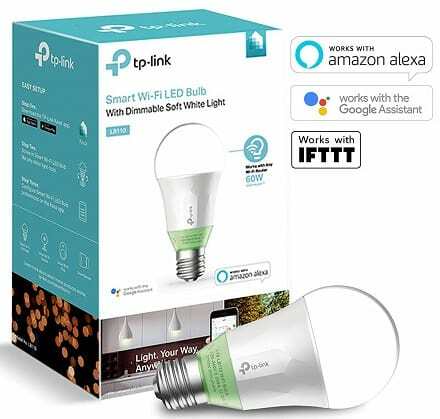 To get these smart bulbs to work, you will need a Wi-Fi connection at your place and you will be good to go. Most of the lights don’t need an external hub to operate and you can simply install an app on your phone to set them up or to later use them. For some smart bulbs, you may need a hub installed to get them working correctly. 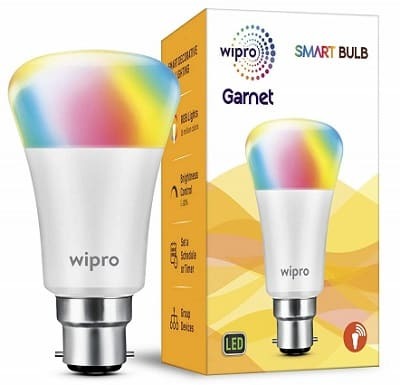 1) This smart bulb from Wipro is designed to add colours to your room with the support for 16 million colours. 2) Besides changing its colour using the companion app, you can also change its brightness from 100 per cent to 0 per cent as per your need. 3) It comes with a B22 cap which means you can use it with your existing holders. 4) Being a smart bulb, you will be able to set schedule and timers for this bulb to automatically turn on or off at the specified times. 5) Wipro’s app is available for both Android and iOS devices, so access isn’t an issue and you also don’t need a special hub to get started. 6) It also supports voice assistants like Alexa and Google Assistant. 1) Syska is a pioneer in the smart home space that has been bringing affordable IoT devices for a long time now. 2) Its range of smart bulbs is quite extensive and includes this RGB bulb that gets the job done without being heavy on your pocket. 3) It uses the normal B22 cap for being used in any existing socket in your house. 4) You can control this connected light from anywhere in the world using its companion app which also offers a number of pre-set mood settings. 5) You can choose from millions of colours and the light is compatible with both Alexa and Google Assistant for voice commands. 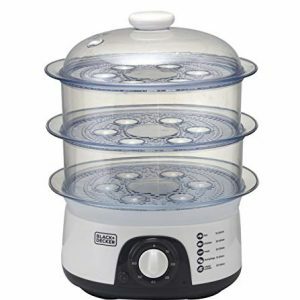 6) It doesn’t require a hub to operate and has sharing support with your family or roommate. 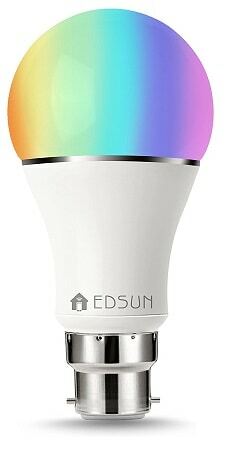 1) Offered at a relatively affordable price, the EDSUN smart bulb offers a range of functionalities including support for group timing controls. 2) To set this light up, all you need is a Wi-Fi router and you’ll be good to go. 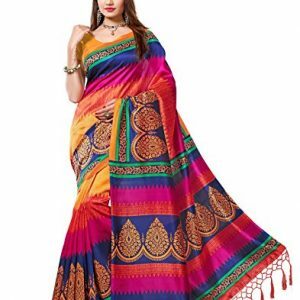 3) You can choose from over 16 million colours based on your mood or the room decor as per your preference. 4) If you already have a smart speaker placed in your home, like Google Home or Amazon Echo, then you will be able to use the light using just your voice. 5) The company has designed this light to last for a really long time and offers a warranty of 12 months on it. 6) Besides offering a range of smart features, the bulb is also energy efficient. 1) For one, Philips is one of the leading brands offering IoT devices and their smart lights are their strongest offering. 2) This is a 9.5W light to cover a bigger room and works in white ambience colours where you can change the light temperature using its app. 3) The E27-based bulb offers the widest smart speaker compatibility, including Google Assistant, Alexa, and Apple Siri. 4) You need to know that Philips smart lights require a central hub to operate, which is sold separately. 5) The Philips Hue app, available for both Android and iOS, is quite feature-rich and offers a range of settings and moods to automate the whole smart lighting process. 6) It can even be programmed to give your notifications, reminders, and even lets you set alarms. 1) The network equipment maker also makes some of the most fantastic smart bulbs available in the market. 2) Their LB1100 10W smart bulb sets up and works without any hassle as you don’t need a dedicated hub to operate it and a simple Wi-Fi connection is enough for it. 3) The company has extended support for Alexa, Google Assistant, and even IFTTT. 4) A companion app can be downloaded for Android and iOS devices for controlling light even when you are not in the home. 5) This is a white light, so you can change the light temperature or dim the light as per your need or depending on the time of the day. 6) Its powerful app can be used for setting scenes and schedules to automatically turn on or off the bulb. 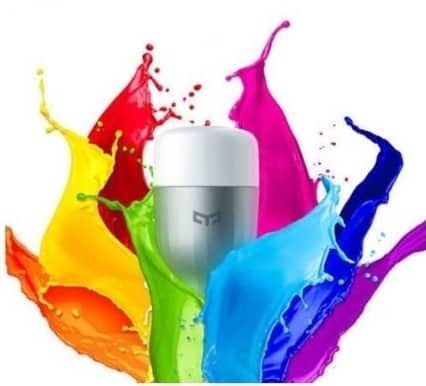 1) Coming with a unique design, this Mansaa smart bulb is made to stand out while offering some of the best smart features. 2) According to the socket type installed in your house, you can choose the cap style to perfectly fit them. 3) This is a colour-supported light and you can use the provided app to change those colours. 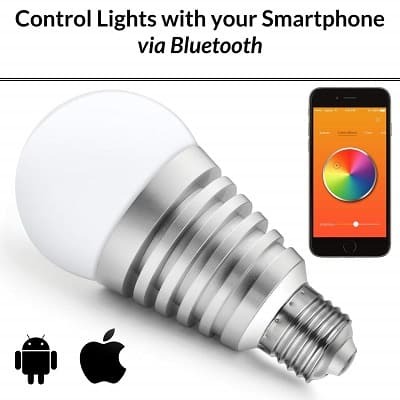 4) This light will work in your house even if you don’t have a Wi-Fi installed as it connects to your smartphone via Bluetooth. 5) Using the special party mode, you can program the light to change according to the music beats, giving you a fuller experience. 6) The app also allows you to group multiple lights together to work as one. 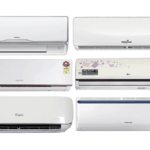 The company offers a warranty of 36 months. 1) Hans Lighting has made a smart bulb that offers features that are comparable to the global brands but costs a fraction of them. 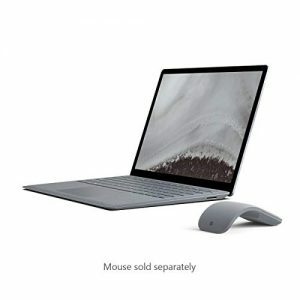 2) Above all, you don’t need to install a separate hub to get this light work, your existing Wi-Fi connection will do just fine. 3) It is a multicolour bulb which you can change from the company’s app. 4) A B22-style cap means you can use it with your existing sockets and any additional wiring isn’t required. 5) Being a smart light, the app allows several automation features where you can turn on or off and even change the colour based on your preference. 6) Support for Amazon Alexa and Google Assistant allows for voice control. 1) Xiaomi recently launched its Yeelight range of smart bulbs in the Indian market and they’ve already become user favourites. 2) Yeelights work independent of any central hub and you can connect it using your Wi-Fi network itself with its companion app downloadable both on Android and iOS. 3) This is a multicolour bulb and the app can be used for changing them and also for dimming it. 4) According to the company, each of these bulbs can last for over 11 years without you having to replace them. 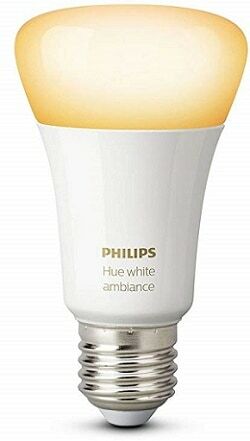 5) This 10W bulb gets quite bright with its high maximum brightness. 6) You can make use of automation with the help of Google Assistant, Amazon Alexa, and IFTTT. 7) It uses an E27 cap so you might need a converter for a conventional B22 base. 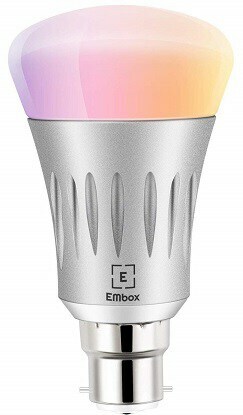 1) Just like any other smart bulb in this list, this EMbox bulb will offer you a full range of intelligent features to let you begin your own smart home setup. 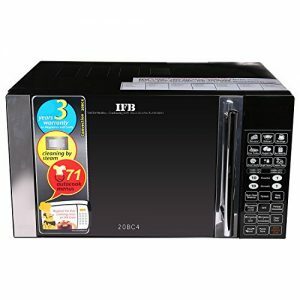 2) With its smart features, it makes for an ideal device to begin building your smart home on a budget. 3) Its app comes preloaded with a handful of scenes which you can set according to your mood. 4) It is a full-colour bulb allowing you to choose from millions of them to make unique combinations as you like. 5) With the use of LED lights, this bulb is far more energy efficient than those incandescent bulbs. 6) From the app itself, you can set on and off timers and make use of many more options. 7) The company has enabled integrations for both Alexa and Google Assistant, besides IFTTT. 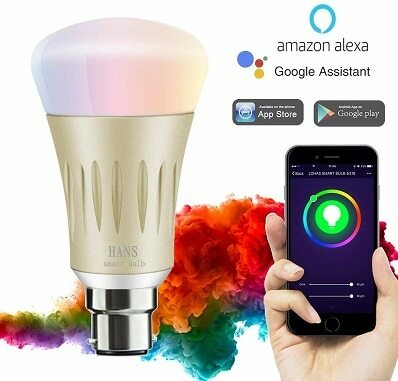 1) To run this smart bulb, all you need is a Wi-Fi connection and an Android or an iOS smartphone to run its companion app. 2) With the app installed, you can set various timers and schedules to turn on or off the bulb as you like. 3) With this, you will never have to get home in the dark as the bulb also support remote operations. 4) If needed, you can dim the bulb also and change the colours to virtually any colour you can think of. 5) From within the app, you can create bulb groups to operate as a single unit for controlling all of them together. 6) If you wish to control the bulb using your voice assistants, then you can use it with Alexa and Google Assistant.